High Speed Channel to for making surface dry at earliest. Standing Leak guards avoids accidental leakage and provides better fitting. Anti Bacterial Layer avoids infections and rashes to delicate skin. Also prevents foul odour. 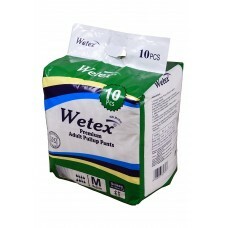 Made of Breathable outer layer which prevents skin irritation and enhances dryness.